The Case for Apple (AAPL): Is the Apple Worth Biting Into? It seems as though lately, every time that you view the news, there’s someone predicting something dire in the tech space. A prime example is Apple Inc (AAPL). The tech giant has faced a slew of doom-and-gloom predictions lately, but mostly as a result of what’s happening with its suppliers. The million-dollar question is: Should investors be cautious about buying or continuing to hold AAPL in their portfolios? Or, is it time to pull out and move on to greener pastures? What Makes the Apple Shine? All of these headlines have caused investors to shy away from taking a bite of the Apple (pun intended!). A 6-month price chart tells the painful story of AAPL’s slow decline. Just a few months ago (Aug 2, 2018 to be precise), AAPL traded at $207.39 to become the first publicly traded US company to hit a major milestone – $1 trillion in market cap! But the momentum didn’t stop there. Just 2-months later (October 3rd), the stock price closed at $232.07 – a nearly 12% improvement over the milestone price. Between its Aug 23rd close ($215.49) and current price ($176.78), the Apple has lost nearly 18% of its shine. So, what’s changed? Why have investors suddenly turned sour on AAPL, a tech juggernaut that seemed so invincible just a year or so ago? The Apple Bears make the case that a lot will depend on the China story. Based on some estimates, it’s believed that AAPL has lost over a third of its China smartphone market share – and that’s cause for worry. Primarily, the cause for that decline is attributed to domestic competition from players like Huawei Culture Co., Ltd. (002502.SZ) and Oppo. Then there’s also talk that the trade wars aren’t going away all too soon, and that will have a dampening affect on future AAPL growth even beyond China. The fact that the U.S. is actively pressurizing many allies to boycott Chinese phone makers, could also mean China retaliates against AAPL – especially in its domestic markets. The Bears also point to the “challenges” that the iPhone X (Apple’s latest and greatest evolution of their blockbuster device) is facing. At over $1,000 a pop, the price tag for the new phone doesn’t exactly make it an accessible purchase for the “average” user. According to some estimates, parts that go into the X cost more – almost $115 more – than what are used in the iPhone 8. And that’s cut into AAPL’s phone sales margins. These are all valid headwinds that the Bear’s say tech goliath AAPL faces. But investors should carefully weigh them against what the Bulls have to say. Looking at the precipitous decline in the stock price, it’s hard to be optimistic on AAPL, but the Bulls have a view on the name too! The Bulls point to company fundamentals as a yardstick to measure AAPL’s value to any portfolio. In its most recent quarter (Q4-2018), the company’s revenue ($62.9B) increased more than 20% over what it reported a year ago. At $2.91, it’s EPS is also in a much better place than back then – 41% higher. So, what about those that say global sales are faltering, which is a Bear argument? Well, Q4 showed that, despite the China headwinds and trade war fears, AAPL still gets over 61% of its revenue from international sales. Bulls also point to something else that might be music to potential AAPL investors’ ears: Service revenues continue to grow for this tech darling – up by 27% from $7.9B in Q4 last year, to more than $10B in the most recent quarter. Bulls point out that, even if unit sales decline, service is where the company will more than make-up for it. Encouragingly, 2019 seems to be bright for the company as well, with revenues expected to come anywhere in the $89B to $93B, and gross margins guided at 38% to 38.5%. And that should warm the hearts of anyone planning on adding more apples to their cart! So, does the Apple still shine? Well, we’ll let others more investment-savvy than I to answer that question. Warren Buffett’s Berkshire Hathaway bought 12M AAPL shares in its latest quarter. Prior to that, the Oracle of Omaha added 75M shares in Q1 2018, after more than doubling his holdings in the stock in early 2017 to 130M shares. With the latest tranche of 12M, Berkshire Hathaway now owns 250M shares of AAPL as of the end of June this year. So, what does that tell you? It tells you that, for someone who is a self-professed tech-hater (Buffett doesn’t own an iPhone, and is reported to take great pride in his flip-phone!) but still loading up on AAPL, there’s got to be some shine left in the name! If you looked at a longer-term chart of AAPL, you’ll start seeing some of what Buffett sees in the name. As Buffett said in a recent interview: One doesn’t invest in a farm just because there’s going to be favorable weather next year. Instead, look 10-20 years ahead, beyond the short-term noise, and take that leap of faith – now that AAPL is on sale. 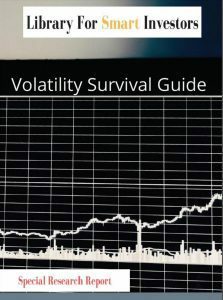 Get this recently published report Volatility Must Buy Stocks report absolutely free. 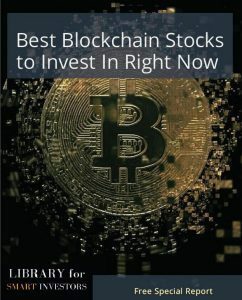 Author does not have investment in stock discussed in this article.